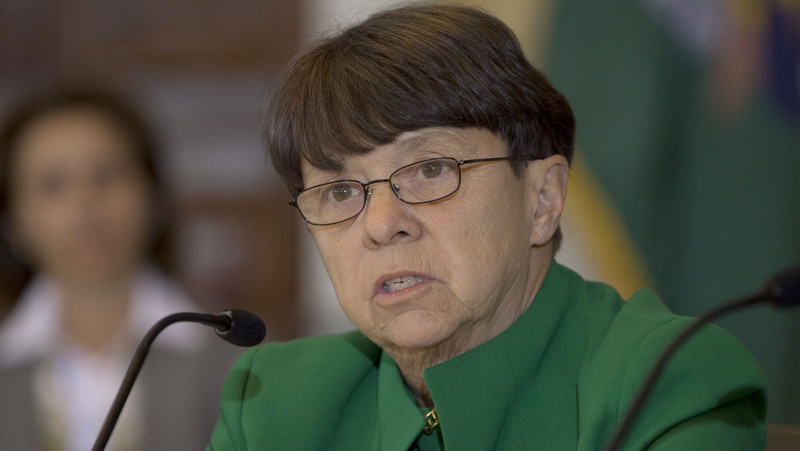 SEC has been providing "technical assistance" to the DOL on its fiduciary rulemaking, Chairwoman Mary Jo White said Friday morning. Securities and Exchange Commission Chairwoman Mary Jo White said Friday that she would speak about her position regarding a rule to put brokers under a fiduciary mandate “in the short term,” stating that it remains a priority of hers “to get the Commission in a position to make that decision” on such a rule. White made her comments regarding a fiduciary rulemaking to reporters after her remarks at the Practising Law Institute’s SEC Speaks conference in Washington. White had said in November that she would provide more “clarity” as to her position regarding a uniform fiduciary rule in the “short term,” despite the fact that the agency has not yet decided “whether to do something or what to do” regarding such a rulemaking. Dodd-Frank mandated rulemakings ranked first among the priorities White cited in her remarks to attendees. The SEC, White said, has been providing “technical assistance” to the DOL on its fiduciary rulemaking. The DOL’s redraft is expected to be filed with the Office of Management and Budget for a 90-day review any day now. White also said the agency would focus this year on “advancing other initiative across the agency,” including exploring ways to increase exam coverage of investment advisors and enhancement to broker-dealer financial responsibility rules, and updating the agency’s regulatory regime for transfer agents.